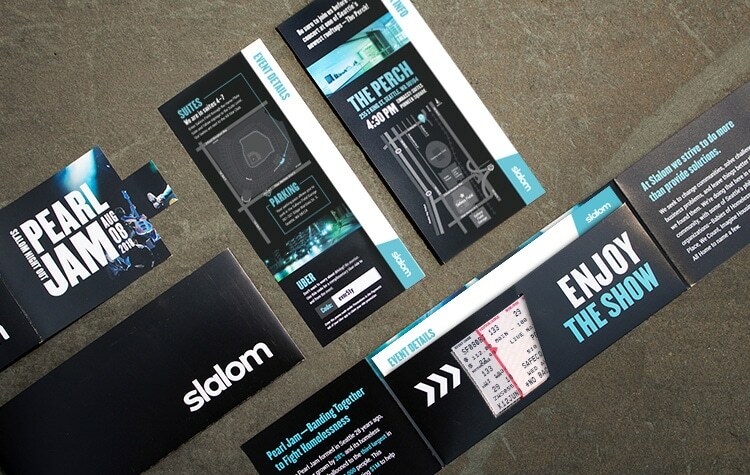 Slalom is a purpose-driven consulting firm that helps companies solve business problems and build for the future. 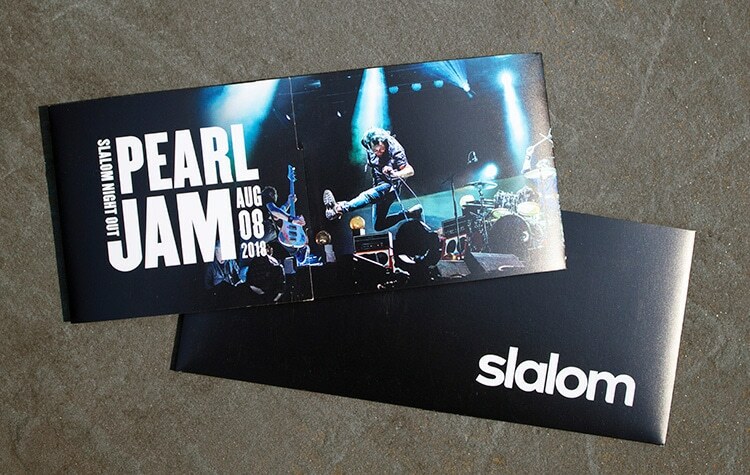 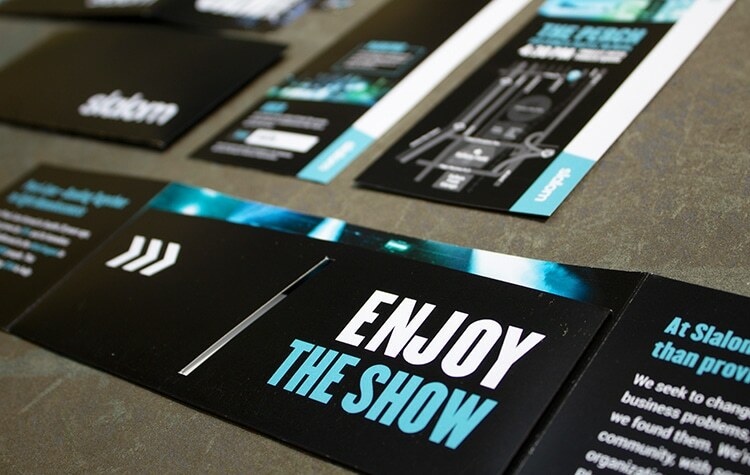 For their annual “Slalom Night Out” event, they came to us seeking a unique, compelling, foldable package for hand-delivery of Pearl Jam tickets and information. 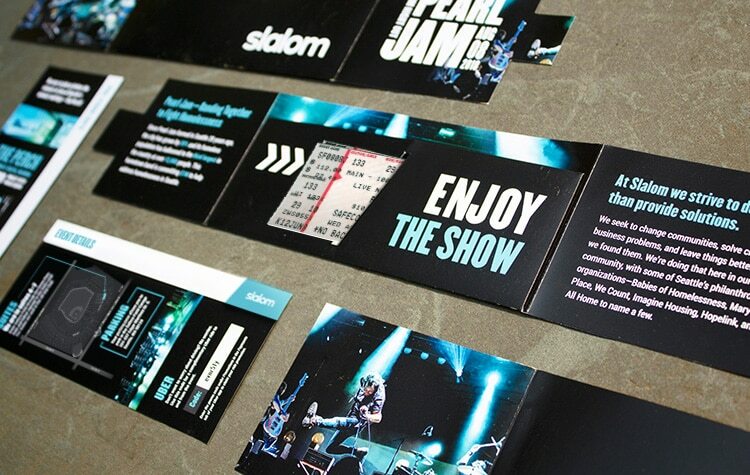 Using a custom die-cut, the piece features an angled slit for the tickets and parking pass, as well as a pocket to hold the info card with maps and “pre-funk” details.